“A family that plays together, stays together.” Perhaps that was the idea behind the creation of Family Day, a holiday that acts as a fun respite from the February blahs. Since its inception in 2007, Family Day has been a time for families to get together, and enjoy some all too scarce but precious quality time. Wondering what’s happening in Waterloo Region this Family Day? Here are 30 Things to Do that will have your gang playing together all weekend long (and all Long Weekend!). Have fun – and here’s to Families!! Family games, crafts and tours from 10 am to 5 pm: and, the Café will be open for some traditional Scottish treats too! Your Journey to Space experience starts Saturday with “Breakfast with the Empire – May the Forks be with You”, and continues with space-themed family activities throughout the weekend. It’s time to put your winter survival skills to the test during this day of outdoor activities and games! Ever been up close with a Madagascar Hissing Cockroach or a Tailed Whip Scorpion? This is your chance! And, don’t forget to check out the thousands of butterflies in the conservatory too! Where can you skate, shoot some hoops, participate in a yoga class, make slime, listen to storytime, play pickleball and learn about your community’s heritage all under one roof? At the North Dumfries Community Centre this Family Day! This amazing “O” Scale model railway layout in St. Jacobs is generally closed during the winter; however, it does open for families to enjoy during the Family Day weekend! The Waterloo Rec Complex turns 25! It’s open Family Day with a special schedule that includes open swims, and Jr. B Hockey action as the Waterloo Siskens take on the Brantford 99er’s. KWAG celebrates families with creative activities for the young, and the young at heart! The best university curlers in Ontario will be at the KW Granite Club all Family Day Weekend. Take your little ‘rockers’ out to catch the action! The four ensembles of the Kitchener Waterloo Symphony’s nationally acclaimed Youth Orchestra Program continue to inspire and generate music enthusiasts and future musicians! You can catch these 150 young musicians in concert on Family Day Weekend at Centre In The Square. Monday Feb. 18th at 2 p.m.
Take in professional basketball action as our hometown KW Titans play host to the Sudbury Five at The Aud. Lots of fun is a sure thing both on and off the court! Several Kitchener facilities are ready with fun activities for the whole family to enjoy! Registration for some events is required. All events are free to attend unless otherwise stated. 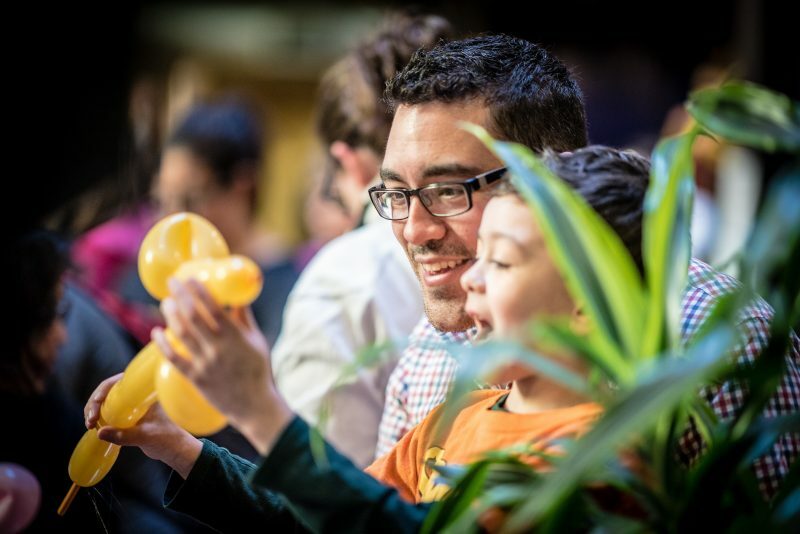 This is THEMUSEUM’s 7th annual Family Day Hack Jam, with 4 floors of activities that will have your family tinkering and making, learning about S.T.E.A.M., digital technology, and interactive tech-art. And, admission to THEMUSEUM on Family Day is half-price! Make an object out of clay on Feb. 17th, and return to paint your creation on March 3rd. It’s a great day for artists of all ages: registration is required. Straight Goods Entertainment is hosting its 2nd annual kids’ carnival fundraiser in support of Guitars for Kids – which donates guitars to underprivileged children and subsidizes music lessons at local music schools. Bouncy castles, magicians, face painting, games, and concessions are all part of the fun! Lots of free, drop-in activities for kids and adults are happening at the Cambridge Centre for the Arts throughout the afternoon on Family Day. Drop by Idea Exchange’s newest location at the historic Old Post Office in Cambridge for fun with marbles and mazes, Jackbox Games, and even a robotic soccer match with Family Sphero Soccer! Bring On the Sunshine is a Family Day festival where participants are able to experience African culture in an amazing way. The day includes a full musical stage line up, a market place with diverse and artisan items, workshops such as drumming and dance, and delicious African cuisine! Your family can Eat – Tag – Bowl – Play at Kingpin Cambridge! There are lots of great ways to have fun here, as well as at Kingpin’s Kitchener location. You’ll be amazed at all the fun you’ll find “Under the Dome” at Max’s! There’s everything from indoor mini golf to axe throwing, batting cages, golf simulators, and even bubble soccer! Remember the hours of fun you had building with LEGO® when you were a kid? At Toy Building Zone in St. Jacobs, that creative fun happens daily in their well-stocked Play area. Build a vehicle, and challenge family members to a race on their specially designed track! And, check out the amazing full scale LEGO® models too! Your family will be jumping for joy (literally!) at this trampoline facility. Check out their Cosmic Public Jump – featuring special glow / cosmic lighting! Why not get out and enjoy our Canadian winter with a day of snow tubing? All day passes are available, and then grab a bite to eat at the Chalet Café! Waterloo Region is home to one of Ontario’s most popular ski and snowboard family centres. 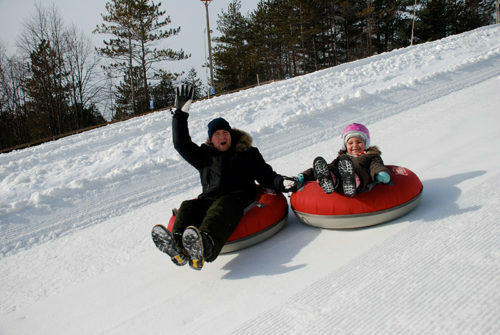 Grab your gear (or rent it there): Family Day is the perfect time to Discover Chicopee! Why not head out for a trek on one of the region’s many fantastic trails? Family Day is the perfect time to try a trail you haven’t been on before, so you and your family can truly #ExploreWR! The Bauer Kitchen is open for Brunch on Family Day from 10 am – 3 pm! (They’re also serving up their regular Saturday & Sunday Brunch both days from 9 am – 3 pm). Make sure to book a table for your family before they’re all gone!